1 Register in our members area and let us have some basic details to kick off with. 2 Upload details of your boat share, including images, using our quick and easy template. 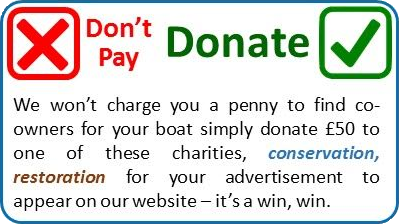 3 Your listing is free but, we’d like you to make a donation to one of the marine charities we support. 4 Sit back and wait for genuine enquiries from interested buyers come in! There are many options for potential buyers to choose from so here are a feel tips to make sure that your yacht, motor cruiser or narrow boat stands out from the crowd. It’s worth taking a little extra time now to ensure that you attract genuine buyers. Make sure you complete the seller’s template as fully as possible. Most serious buyers will use our advanced search facility to find exactly what they are looking for; the more information you provide the more likely your boat is to feature in their search results. Provide good quality images of your boat. The better the image the more likely you are to attract serious buyers who know what they are looking for. Answer any email requests for information promptly. Buyers may be looking at various boat share options and a quick and professional response will make a good impression from the outset. 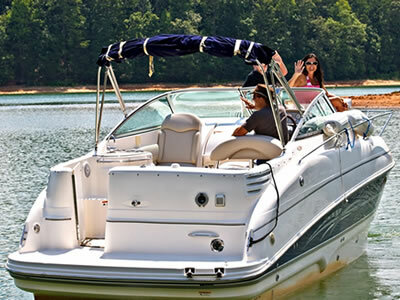 Connect with Boat Share Finder via Facebook / Find us on Google+ to get involved in the sharing community.